2012 marked the return of Solarstone and Pure Trance. Join the celebration with this semi-special edition of TTS! Featuring tunes from Solarstone, Chicane, Lange, Armin, W&W, Ummet Ozcan and more! Music like Pure Trance goes by another name too - True Trance. 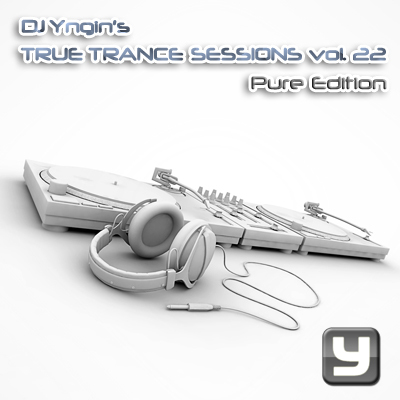 Through the True Trance Sessions series, Yngin has pushed the pure trance sound forward for the last ten years. As always, the concept of the series is to mix the newest melodic, vocal, uplifting and progressive trance tunes together, along with a few classics and a couple of remakes of golden oldies thrown in. Every set has 13 tracks, starts with a breaks mix, and generally increases intensity and BPM throughout the set.